Michiana Commercial Landscaping is your best choice for commercial tree service. As a professional landscaping company we dedicate ourselves to serving you with affordable tree service prices and reliable landscape work. We realize that you have many companies to choose from so we go above and beyond to make certain you are happy with the service we provide. We take care of your property so you have the time to take care of your business. It’s a relationship that makes us proud. Michiana Commercial Landscaping offers tree service for a variety of commercial facilities. This includes retail, office, industrial and other commercial properties. When we start a new project, we will do a thorough property assessment to identify your needs and develop a customized plan unique to you. Because every property is different, it requires particular attention to the details to make it the best maintenance program it can be. We will always review the plan with you so you know what to expect from us. Reviewing the plan every season makes sure we are still on track. Our commercial tree service contracts clearly show the tree service cost and always come with our personal satisfaction guarantee. 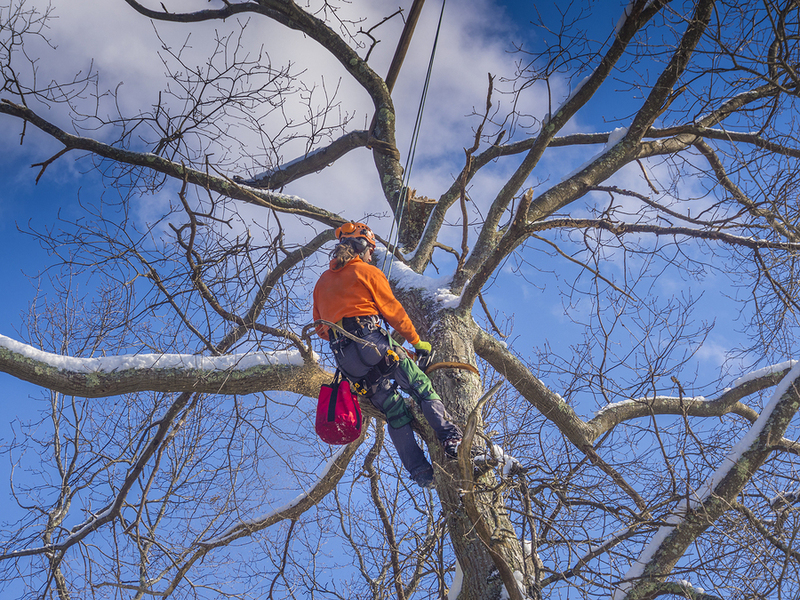 Commercial tree service pricing can vary depending on the size of the property, the size and age of the trees, the length of the contract and the specific services discussed during the assessment. We have a range of pricing plans to suit any budget. We will never recommend a service you don’t need. Our honest approach fosters a trust with our customers and develops lasting relationships. Tree service is an often neglected part of a good landscape program. To keep your trees healthy we need to prune regularly. During our visit we will also inspect all the trees to make sure they are healthy. We will discuss the tree removal cost with you if an older or diseased tree needs to be removed. Well maintained tree service equipment and skilled landscapers is a winning combination and always produces great looking results. Good commercial landscapers do more than just trim the trees. We offer you a complete plan that will have your property always looking its best. At Michiana Commercial Landscaping we offer fertilizer programs, insect and weed control and irrigation as a part of our comprehensive service. Mowing and excavating are other services we can offer. Your property can help show off your business. Let us help you succeed. Image is essential to attracting new customers. A well-manicured property tells your clients you are engaged and care about your business. Our landscapers are only interested in providing quality work while serving our customers. We are friendly, professional and passionate about our work and the relationships we have with our customers. Our goal is to work with you to deliver manicured landscapes at the best price. If you are looking for commercial landscaping services in the South Bend Indiana area, call us. Michiana Commercial Landscaping is the clear choice for all of your commercial landscaping and tree service needs.